Inland Green Capital is an environmental finance and investment company. It provides capital for PACE project initiatives throughout the country. 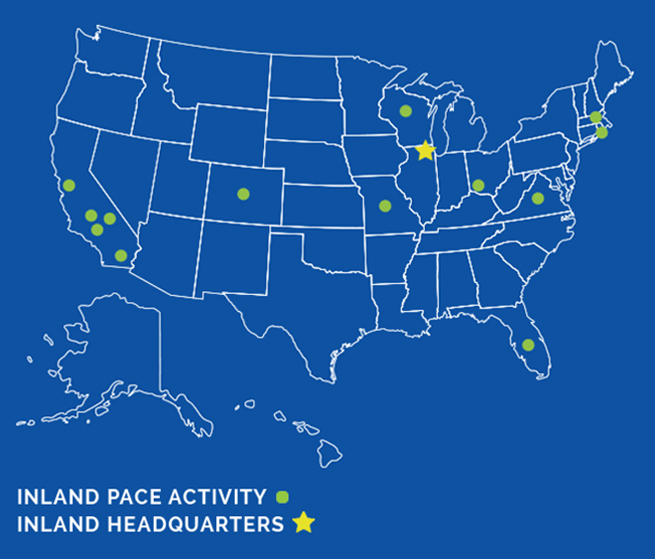 In addition to our enthusiasm for PACE from a business perspective, Inland is excited to provide leadership in advancing the energy-efficiency and sustainable movement sweeping the country. PACE stands for Property Assessed Clean Energy, a new way for commercial and residential property owners to finance energy efficiency measures for their properties. Whether it is energy efficiency upgrades, renewable energy projects, water conservation, or hurricane mitigation, PACE offers 100% funding through local and state governments, and is repaid through an assessment on the property only for a term up to 20 years. The benefits of PACE can include no up-front cash investment, long-term financing, and no payoff upon sale since PACE assessments remain with the property for the next owner. Most importantly, the program promotes sustainability efforts in the real estate industry. Inland Green Capital is a member of The Inland Real Estate Group of Companies, Inc. (Inland) which is one of the nation’s largest commercial real estate and finance groups. Inland has been creating, developing and supporting real estate related companies for 50 years. It is comprised of a group of separate legal real estate investment and financial companies with managed assets with a book value in excess of $16.4 billion, doing business nationwide. Inland companies cumulatively employs over 1,000 people. In its history, Inland has raised more than $22 Billion in capital from more than 478,000 investors. Inland is headquartered in Oak Brook, IL and has the distinction of being the 2009, 2014 and 2017 Better Business Bureau Torch Award Winner for Ethics in the Marketplace. Inland Green Capital is currently an investor in PACE bonds through various subsidiaries. To date, we have purchased PACE bonds from program administrators in California and are listed as an approved capital provider with several other PACE programs. We do not have a limit of allocated capital for PACE and are focused on the continuing success of PACE throughout the country. We are actively looking to deploy capital for PACE and other environmental initiatives. Inland Green Capital views this investment not only from a business perspective, but also as an opportunity to demonstrate leadership in the real estate community regarding energy efficiency and sustainability initiatives. Adding energy saving improvements will help save on utility costs, improve property values, and benefit the environment. Whether it is helping administrators starting or expanding PACE programs or purchasing private placement PACE transactions, Inland Green Capital is committed to supporting energy efficiency measures throughout the real estate industry. Inland Green Capital takes pride in working with industry professionals who believe in PACE initiatives for the common green goal.Inland Green Capital works closely with Abacus Property Solutions. Abacus is a real estate advisory firm specialized in the development and financing of energy efficient invest-ment projects.Abby Johnson, President of Abacus is tasked with developing PACE opportunities and providing expertise in energy efficiency technologies and practices. Mr. Pikus is responsible for Inland Green Capital’s overall business direction which includes overseeing PACE project investments, capital markets, and legislative affairs. Mr. Pikus has been active in the PACE market since 2012 and was instrumental in establishing Inland Green Capital into a national presence. 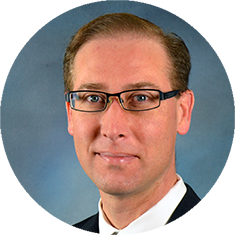 Mr. Pikus has over 23 years of experience in commercial real estate finance and has held positions at US Bank, Credit Suisse, and Inland Bancorp. He is a graduate of the University of Wisconsin – Madison. 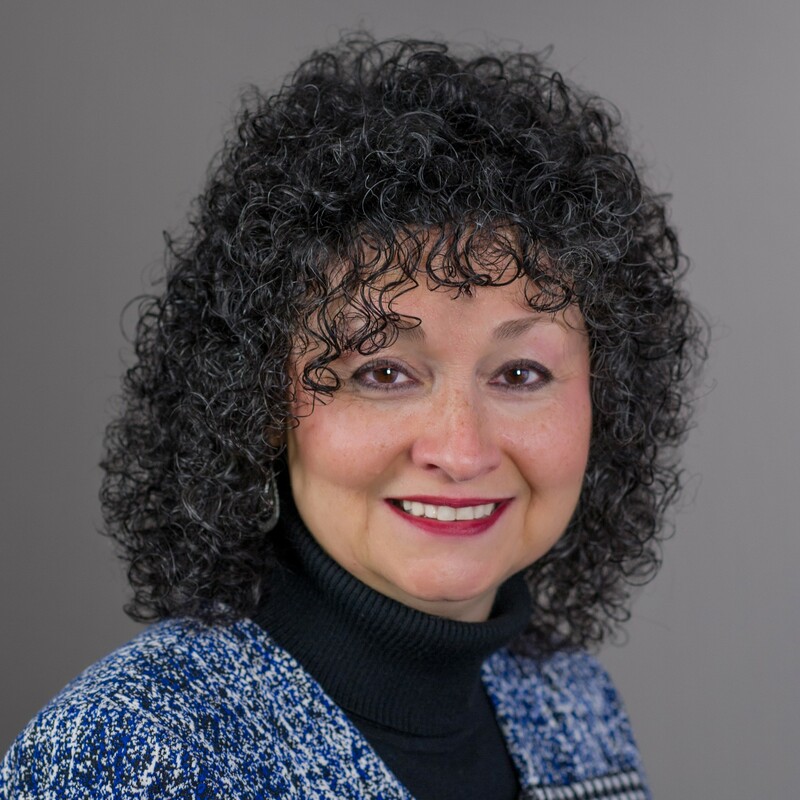 Janet Heintz is Secretary of and legal counsel to Inland Green Capital LLC where she advises on PACE transactions and strategic business partnerships in addition to having been involved in the authorship of the Illinois PACE legislation. Ms. Heintz joined the law department of The Inland Real Estate Group, LLC in 1995 where she is Senior Counsel and Senior Vice President in addition to being Secretary, Director or Manager of a number of Inland affiliated entities. In her capacity as Senior Counsel, Ms. Heintz represents entities and sponsored funds that are part of The Inland Real Estate Group of Companies, LLC, primarily in the business areas of PACE financings, commercial real estate bridge financings and investment advisors. In addition, Ms. Heintz counsels on corporate structure, marketing and other corporate wide initiatives. Ms. Heintz is admitted to practice law in the State of Illinois and earned her bachelor degree from Purdue University and her law degree from Indiana University School of Law. Meghan Kean is the Director of Finance for Inland Green Capital, LLC where she is responsible for overseeing all financial and accounting related activities, including budgeting and forecasting, financial reporting, P&L management, and financial analysis & modeling, as well as partnering with the business and executive leadership teams to develop and execute long-term strategic plans and ongoing operational goals and priorities. In addition, Meghan is also the Director of Financial Planning & Analysis for The Inland Real Estate Group, LLC where she is responsible for enterprise-wide financial planning, reporting, & analysis and ensuring organizational alignment and optimization across the Inland Finance and business support teams. 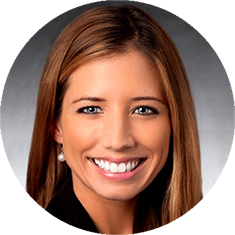 Meghan brings over 10 years of experience of commercial real estate finance and operational expertise to her role. 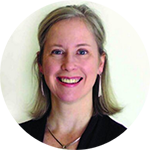 Prior to joining Inland in May of 2017, she served as Vice President and Director of Finance for Jones Lang LaSalle (“JLL”) where she was responsible for directing and leading the financial activities and operational strategies for their global Corporate Solutions business with annual revenues in excess of $1 billion spread across a highly complex, multi-matrixed service and product offering. During Meghan’s long and fruitful tenure at JLL she was instrumental in ensuring the finance organization was effectively transforming and maintaining standards of excellence while the business experienced a high rate of global growth. Armed with a keen eye for identifying challenges that hinder business performance and engineering innovative and solutions, Meghan has a passion for translating strategic initiatives into tactical execution and enjoys leveraging her past experiences and current skillset to help drive business profitability, operational excellence, and continued financial growth. Meghan is a graduate of the University of Dayton where she earned her degree in Accounting, Finance, and Economics. As Operations Manager, Ms. Jarosz manages, analyzes, and processes PACE transactions. She supervises everyday workflow to meet goals and to promote company expansion into new PACE jurisdictions. Ms. Jarosz has been a part of The Inland Real Estate Group of Companies Inc since 2013. She has over 15 years of professional experience in diversified industries. Known for a can-do attitude and devotion to excellence, Ms. Jarosz has her Master’s Degree in Accountancy from Benedictine University, in Lisle. Anna Maria is responsible for the business development of the PACE program through the marketing, education, and implementation of this next generation sustainability financing option. 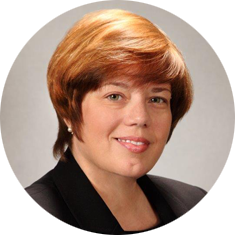 Ms. Kowalik possesses almost 25 years’ experience in the Commercial Real Estate and Property Management industries, including with a former Inland REIT where she oversaw portfolios of over 30 retail properties consisting of 3.4 million square feet with more than 500 tenants, and budgets close to a quarter billion dollars. She has been an active member of industry organizations and chambers of commerce, and liaisons with municipal, county and state governments. The Better Business Bureau of Chicago & Northern Illinois (BBB) is honored to announce this year’s award winners and new board members activated at its 92nd Annual Dinner held on Thursday, March 7, 2019 at the Swissotel Chicago. With over 600 attendees, the event featured the globally acclaimed Dev Patnaik, CEO of Jump Associates and one of the leading voices for Conscious Capitalism, as the keynote speaker. Torchbearer of the Year Award to Daniel Goodwin. As Chairman and CEO of The Inland Real Estate Group of Companies, Inc., Dan oversees a business that specializes in creating, developing and supporting separate real estate investment and financial companies. His passionate focus on ethics in business led to The Inland Real Estate Group of Companies winning the coveted Better Business Bureau Torch Award for Marketplace Ethics three times in the last eight years. Diogenes Award for Excellence in Media to Zully Ramírez. Zully works as a reporter for Telemundo Chicago’s consumer unit. “Telemundo Chicago Responde” was launched in 2015 and offers Spanish speaking consumers a direct opportunity to have their concerns investigated. Through her mediations and investigations, she has helped consumers in the Chicago area and suburbs recover nearly a half million dollars. The James E. Baumhart Lifetime Achievement Award to Dale J. Mueller, the Chairman of Chicago AAMCO Transmission Dealers. Dale is the owner and operator of eight AAMCO Transmissions and Car Care operations, and Midas auto repair centers in Chicagoland. Since starting his business in 1967 he has won numerous awards from both franchises for excellence in sales and customer service. He has been a member of the Better Business Bureau since 1986, currently serves on the Board of Directors and is Chair of the Ethics and Standards Committee. “All of our award recipients exemplify the goals and principles of the Better Business Bureau to support and foster an ethical marketplace benefiting both consumers and businesses,” says Steve J. Bernas, president & CEO of the BBB. David J. Abrams | Sales Manager, Windy City Limousine & Bus Worldwide. As a premier transportation company providing worldwide services, David’s business was voted “Best Transportation Provider in Illinois” nine times in the past ten years by peers in the hospitality industry. Rich Baudo | Vice President of Sales for Comcast Spotlight Chicago. Since 2017, Rich has been the Vice President of Sales for Comcast Spotlight Chicago, the advertising sales arm of Comcast Cable. He leads a team of 50 local and regional sales professionals in the Chicago market. Ed Connealy | Connealy Design Element. Started in 2016, Connealy Design Element provides consultation to the local Architect and Design community and drives sales for some of the industry’s most beautifully designed products. Victoria Garofalo | Vice President, Director of Marketing at Pan American Bank & Trust Responsible for the bank’s marketing activities, Victoria oversees the development and delivery of a fully integrated marketing strategy. Susan Jacobs | SVP Revenue Strategy, Tribune Publishing. In her current role at Tribune Publishing, Susan leads revenue and sales strategy across nine major markets, including Chicago Tribune, NY Daily News, Baltimore Sun, Orlando Sentinel, Ft. Lauderdale Sun Sentinel, Hartford Courant, Allentown Morning Call, Virginia Pilot, and Newport News Daily Press. Juan Leyva | General Manager, LondonHouse Chicago. Juan manages a team of over 300 employees and oversees day-to-day operations at the 452-room luxury lifestyle hotel in downtown Chicago. Natalie Bauer Luce | Executive Vice President for Culloton Strategies. Natalie has developed and executed award-winning integrated marketing and communications campaigns. She’s an executive at a media communications and strategy firm that specializes in media relations, crisis communications, public affairs and grassroots campaigns. Roger T. Stelle | Founding Partner, Meltzer, Purtill & Steele LLC. With a law practice focused on the representation of closely-held companies, including succession issues and the pursuit of both growth and exit strategies for their principals, Roger is a founding member of one of the largest suburban-based law firms in the Chicago metropolitan area with offices in both Schaumburg and Chicago. Walt Valo | Managing Director, Lucid Agency. As Managing Director of Lucid Agency’s Chicago office, Walt Valo focuses on new business development and leading integrated digital marketing strategies that drive business growth for a variety of Fortune 500 clients. PNC Bank was the presenting sponsor for this this year’s Annual Dinner. This year’s gold sponsor was Inland Real Estate Group of Companies. Silver sponsors included ComEd, Discover Financial and Fox Valley Auto Group. The 2019 BBB Educational Foundation’s scholarship contest for high school seniors and college students will move to all video submissions this season. Entries must be submitted by Friday, May 31st. For more information go to org/entry-guidelines. The 25th Annual Integrity Golf Classic will be held at Northmoor Country Club on Monday, July 22nd. All proceeds raised from the golf outing will benefit the BBB’s Educational Foundation. For sponsorship opportunities and golfer registration go to org. Nominations for the 2019 BBB Torch Awards for Marketplace Trust and Excellence are now open. Nominate your company today at org. By Better Business Bureau. March 15, 2019. 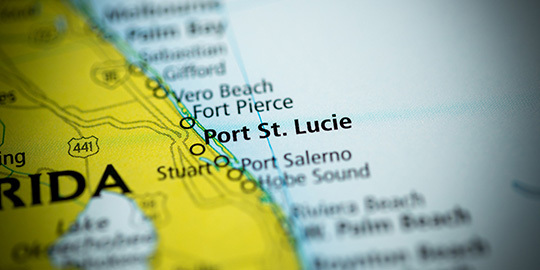 Inland Green Capital LLC, in collaboration with Solar and Energy Loan Fund (SELF) and the St. Lucie Board of County Commissioners, provided capital for three PACE transactions in the city of Fort Pierce. A 3,344 SF retail center utilized PACE as a financing tool for energy-efficiency upgrades to doors, windows, hurricane shutters, an improved HVAC system, and roof. A 1,076 SF residential building received financing to improve the outdated HVAC as well as the roof and windows. Additionally, Inland Green Capital provided PACE capital for a 20,000 SF commercial building which will be used to update lighting and its existing HVAC system. Through the use of PACE financing, all Borrowers had no upfront costs related to the improvements. Due to PACE being a land-secured assessment, repayment is structured over time as part of the buildings’ annual tax bill and not an obligation of any person. 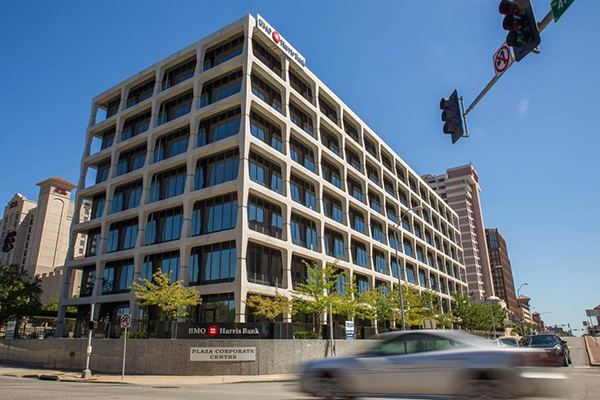 Inland Green Capital provided PACE financing in the amount of $1.6 million for energy-efficient improvements on a seven-story office building in downtown Kansas City. 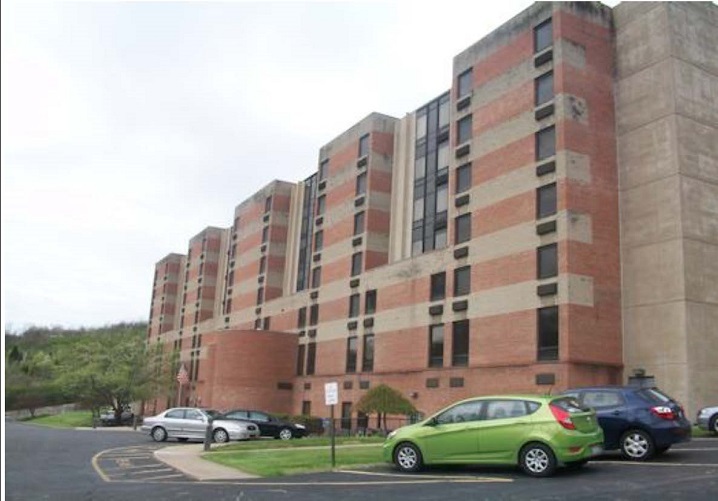 PACE administrator, Missouri Clean Energy District collaborated with Inland Green Capital to update the 105,000 square-foot property’s aging HVAC system. Additional improvements include upgrading the controls and infiltration repair. Through the use of PACE financing, the Borrower receive 100% financing for the costs and will repay the total amount through a special assessment which is part of the property’s real estate tax bill. The repayment will span over 15 years and stays with the property. PACE financing required no personal liability for the repayment. 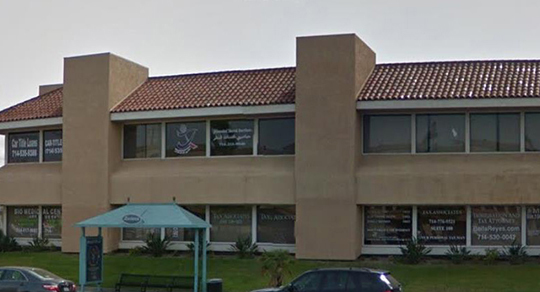 Inland Green Capital LLC, in collaboration with PACE administrator, Samas Capital, provided a $492,052 PACE bond to facilitate the funding of solar panels on a 28,093 SF, two-story office building in Anaheim, California. The financing funded 100% of the costs of the transaction. The PACE financing was provided up-front and will be funded as the construction/ installation progresses for the improvements. The loan will be repaid in the form of a special assessment on its tax bill over 10 years. The amount owed is secured by the property with no personal guarantees of any kind. Samas Capital was able to coordinate the local contractors, while Inland Green Capital provided the necessary capital allowing the building to proceed with the energy efficiency enhancements. Inland Green Capital LLC, through the Greater Cincinnati Energy Alliance, made history by providing capital for the first PACE transaction in the state of Kentucky. Ivy Knoll Senior Living Community in Covington became the first private property owner to have received 100% financing in the amount of $784,236, enabling the 7-story, all electric building to benefit from several energy-efficient improvements. These benefits will include solar panels, automated heating and cooling for each of the residents’ units, and LED lighting throughout. By using PACE financing, Ivy Knoll was able to borrow 100% of the costs and will repay the amount as a voluntary special improvement assessment on its property tax bill, which runs with the property and not with the individual property owner. Additionally, because of its flexible capital, Inland Green Capital was able to provide interim, unsecured financing to the property owner to commence the renovations pending the closing of the ultimate PACE transaction, without the typical underwriting parameters of a conventional banking source. PACE financing did not require any personal guaranty! The successful completion of the first PACE transaction in the state was largely due to the collaboration and expertise brought on by Greater Cincinnati Energy Alliance as the program administrator. CONTACT: Alyssa Templeton, Inland Marketing & Communications, Inc.
Oak Brook, Ill. - Inland Green Capital LLC (“Inland Green Capital”), an environmental finance and investment company, is continuing its involvement in Property Assessed Clean Energy (“PACE”) financing by expanding to St. Lucie County, Florida. In August 2014, Inland Green Capital partnered with St. Lucie County and the non-profit organization Solar and Energy Loan Fund (“SELF”) to create a new PACE program which will allow easier access for commercial property owners to “go green.” Inland Green Capital will provide the capital for energy-efficient improvements such as HVAC upgrades and renewable energy projects such as solar panel installations. PACE provides upfront financing through local and state government and is repaid by a special assessment that is part of the real estate taxes, potentially spanning 20 years. Since the security is in the form of a special assessment, the PACE financing runs with the property. Inland Green Capital has invested in PACE by funding PACE projects and assisting program administrators with start-ups and expansions. Inland Green Capital is an approved capital provider for many PACE programs throughout the country. Inland Green Capital is actively seeking more opportunities to help PACE program startups, purchase private placement PACE transactions and promote sustainability in the real estate industry. Inland Green Capital LLC is an environmental finance and investment company that provides capital for Property Assessed Clean Energy (PACE) project initiatives throughout the country. For more information about Inland Green Capital, please refer to the company website at www.inlandgreencapital.com. Inland St. Lucie PACE, LLC, a subsidiary of Inland Green Capital LLC, with the collaboration of SELF (Solar and Energy Loan Fund), has provided capital for the financing of the installation of clean energy improvements at Adams Ranch in Fort Pierce, FL. The two-parcel property, totaling 234 acres, has gone through the St. Lucie Property Assessed Clean Energy program to install solar water heaters. These updates will allow for vast energy saving benefits and also make the local property owner one of the first to take part in this new program in St. Lucie County. The St. Lucie PACE program provides easy access to financing an array of clean energy projects for commercial properties with no up-front capital necessary from the borrower. SELF helps administer the program throughout the St. Lucie County area. With improvements such as HVAC, solar panels, hurricane protection, and water mitigation being offered, energy-saving sustainable improvements have become more readily available for commercial owners than ever before. Inland Green Capital LLC is an environmental finance and investment company that provides capital for PACE project initiatives throughout the country. For more information about Inland Green Capital, please refer to the company website at www.inlandgreencapital.com. St. Lucie County and SELF recently launched a PACE financing program in August 2014, which offers commercial real estate property owners upfront financing for green projects such as renewable energy, wind mitigation and water conservation. Capital for the program is funded by Inland Green Capital and is repaid through a voluntary assessment on the real estate that is repaid over time as part of the annual property tax bill. The program encourages green initiatives, reduces operating costs, stimulates the local economy through the use of community contractors, as well as promotes sustainability in the real estate industry. Oak Brook, IL- Inland Green Capital LLC is pleased to announce its collaboration with the Los Angeles County Property Assessed Clean Energy (PACE) Program to be the capital provider for two of its PACE bonds in southern California. Both transactions were finalized during fall of 2014. The Pomona Masonic Lodge, located in Pomona, CA, was the first bond purchase. The 15,648 SF building will be utilizing the funds to construct a 20 kW Solar Photovoltaic (PV) Array System on its rooftop. This solar panel system will allow for reduced utility costs and electric energy consumption. Inland Green Capital also funded PACE improvements for Huntington East Medical Building in Glendora, CA. The 47,742 SF facility will be using the PACE capital to update to an energy-efficient HVAC system. Both transactions for these commercial PACE projects were brought to Inland Green Capital by Structured Finance Associates, a provider of financing for real estate property owners for energy efficiency capital expenditures. Copyright 2019 The Inland Real Estate Group of Companies, Inc. All rights reserved. The Inland name and logo are registered trademarks being used under license. "Inland" refers to The Inland Real Estate Group of Companies, Inc. which is comprised of a group of independent legal entities some of which may be affiliates, share some common ownership or have been sponsored and managed by such entities or subsidiaries thereof.